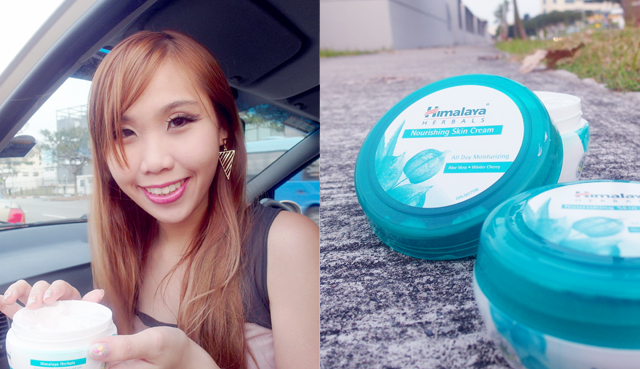 Review: Himalaya Nourishing Skin Cream + Giveaway! Previously during our staycation, Fidelis and Carrie whipped out their Himalaya Herbals Nourishing Skin Cream which got me interested (I am always keen to try out products which can hydrate because my skin is the very dry type! ), so Fidelis went back and managed to get me a few tubs! 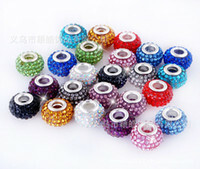 Read on + giveaway at the end of this entry! Actually I have heard of the Himalaya brand before, afterall it's a global leader in the herbal healthcare industry and sold in more than 80 countries, but never really went to try out its products before! Himalaya Herbal's is known for using natural herbs and not using pesticides or artificial fertilizers in its farm, so I think it's really safe for people who have sensitive skin! (Recently I am quite picky about what creams I use because I am very afraid of side effects!) It’s au-naturale and uses a herbal cocktail that was designed for today’s skincare needs using 100% herbal actives of Aloe Vera (moisturizing properties and preventing of trans-epidermal water loss) and Winter Cherry (stimulant, antiseptic, and anti-flammatory, used as an anti-oxidant in skin problems and protects skin from pollution and dry weather). Started using it a week back and I think it's really useful because I have extremely dry skin, especially as I work in my air conditioned office for long hours everyday. It makes my skin very dry but after using the nourishing skin cream I have been feeling less of that dry-feeling on my hands and legs! I haven't been using it on my face as I am using other moisturizing products, but it can be used on the face as a hydrating makeup base too. Basically, can use even on the whole body if you like! It's gentle enough to be used everyday as well. Happy because Fidelis passed me the tubs in two different size (150ml: $12.90, 50ml: $5.30)! I am currently using the bigger one at home, in my office (in case I forget to apply at home while rushing out of the house! Haha), bf's car, and I also plan to pack the smaller one in my bag if I go travelling! Very convenient as an all-in-one moisturizing cream if you want to pack light for travels! 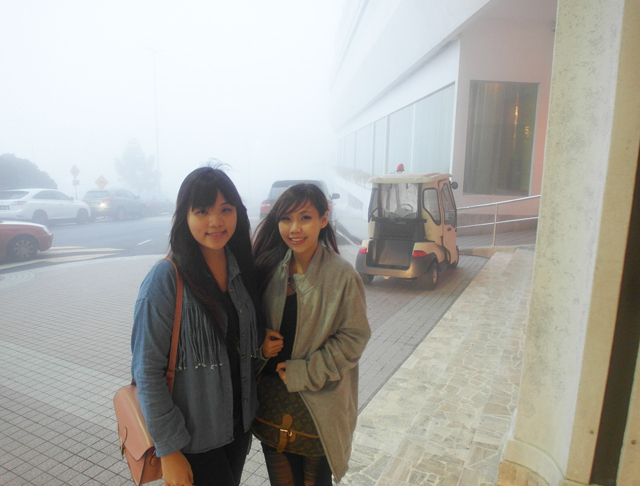 Recently I went to Genting and it was so cold and my skin felt extremely dry and looked obviously very dehydrated in photos! Such a pity that I haven't started using this cream back then! Me using it in the car! It's so small it doesn't even take up much space! It's easy to use too! Just apply it all over your body, especially on dry areas like elbows and knees. If you are keen, can get from Watsons/Guardian/Unity/Giant/Mustafa or their exclusive outlet located at Harbourfront. More information on http://www.himalayawellness.asia/ ! 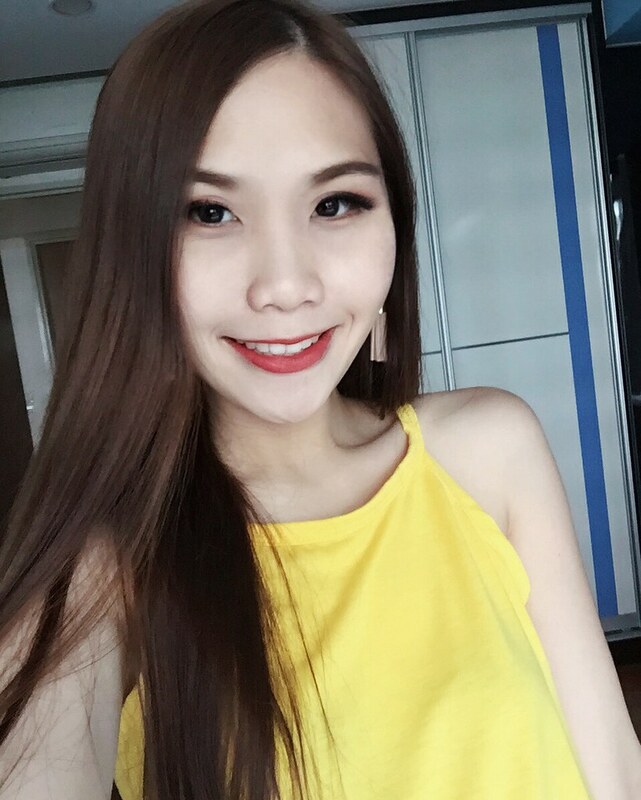 Although it's a cream, I think that it is quite light and after applying, the skin absorbs and restores the moisture content in my skin with no greasy or sticky feeling for the rest of the day. Instead, the skin feels soft, healthy and hydrated! 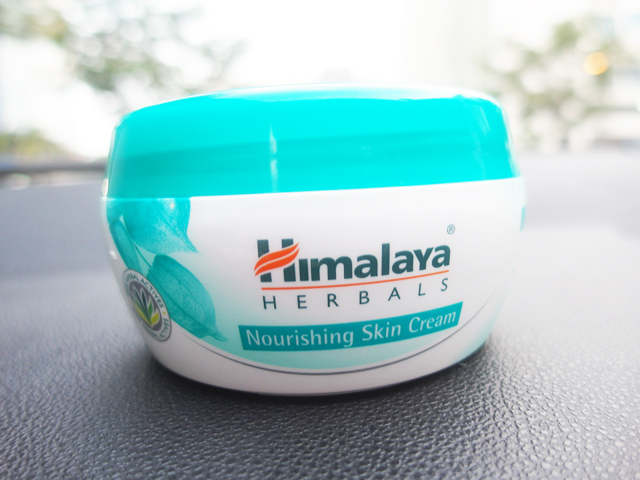 Himalaya Nourishing Skin Cream Giveaway! 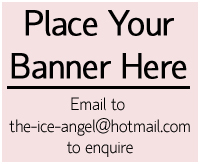 Do include your Name, Email, Contact number! Contest ends mid-march!